The PSC FPSC1091F 25-foot Breakaway Snake Cable is designed for quick and easy connection between the FP33 / FP32 field mixers and professional Betacam cameras. The cable features dual 5-pin XLR female connectors for Sony HD cameras, and a 1/8" (3.5mm) mini headphone connection at the camera end. The mixer end also features connections for stereo audio output and headphone return input. The mixer end is the longer of the two cables and both sides are joined with a quick-release 8-pin connection for easy setup and breakdown. 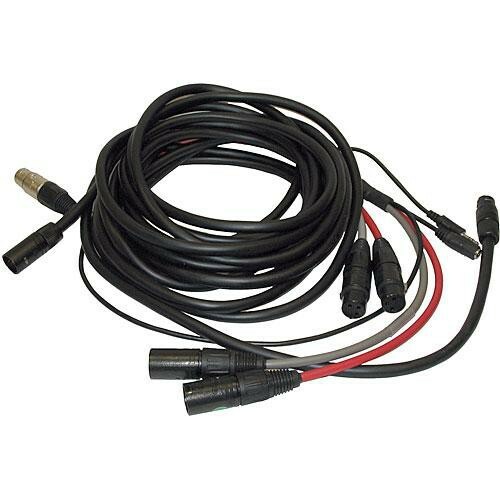 Box Dimensions (LxWxH) 8.4 x 8.2 x 1.6"
25' XLR Betacam Breakaway Snake with XLR-Female 5-pin Connection is rated 5.0 out of 5 by 2.